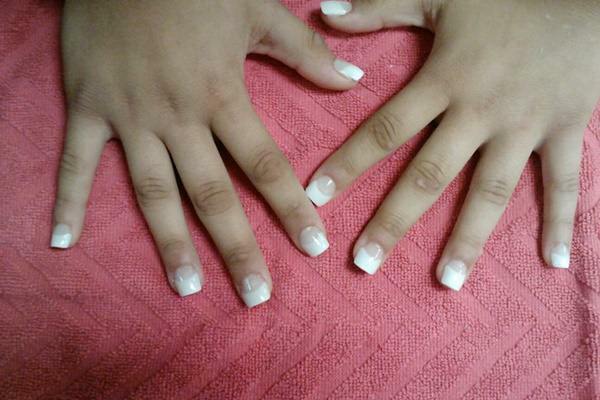 A French manicure is a chic, polished, and timeless look. You can give your hands a Parisian flair without spending a fortune at the salon, since French tips are fairly easy to paint. 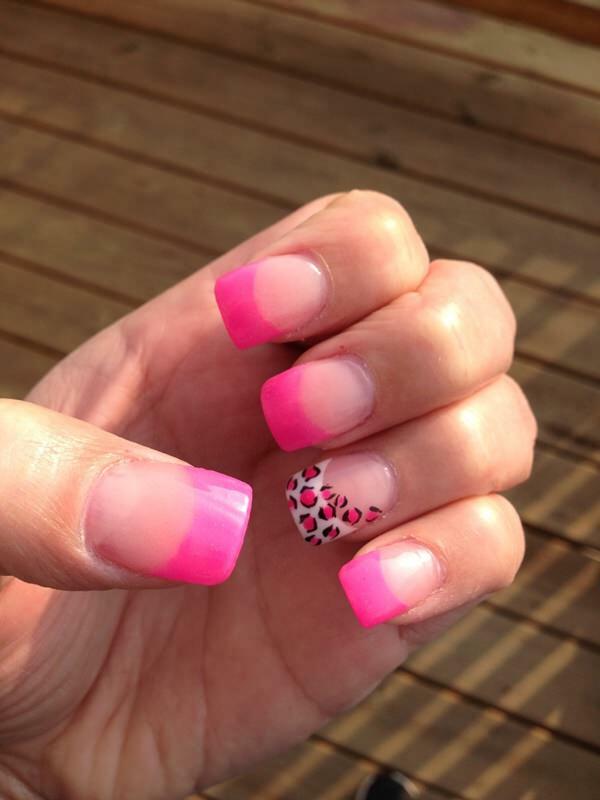 Moreover, it’s a manicure that works well for both short and long nails; but if you’re hoping for a more dramatic look, a French manicure on stiletto nails it’s your best bet. Also, the tips don’t necessarily have to be white. 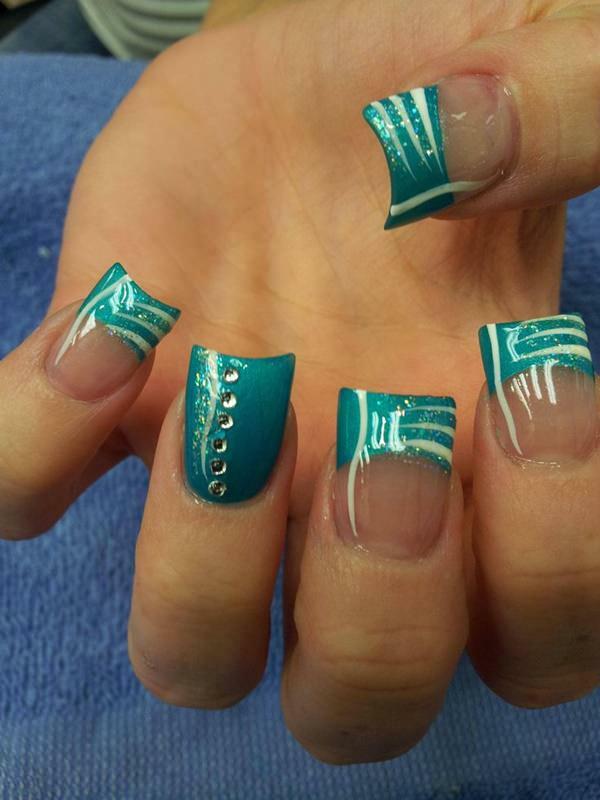 You can paint the tips in another color or come up with a design to truly showcase your personality. We’ve gathered a few gorgeous looks to get you inspired. The combination of white, pink, and black is one of our favorites. It will definitely help you stand out from the crowd. 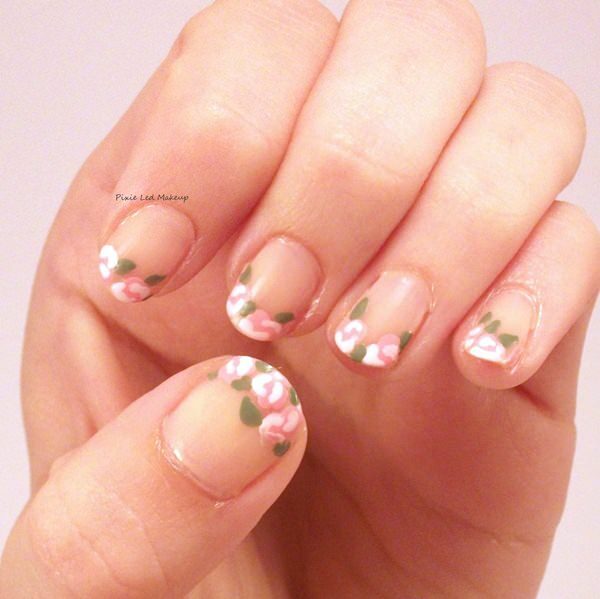 Choosing to paint your tips in black and white gives the manicure a bit of an edge, and the flowers are just lovely. Zebra style! If you’re looking for a classy manicure but you don’t want to settle for plain French tips, this is the way to go. You can always keep things simple, especially if you have a job that requires you to sport a business look. 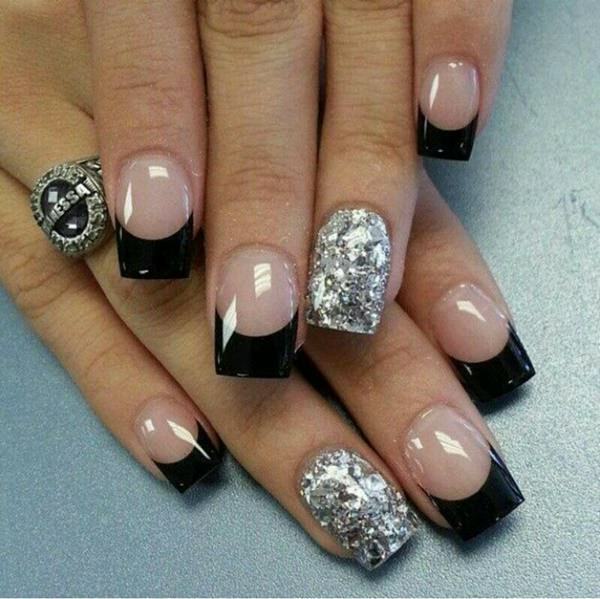 The oversized tips make this manicure look original, but still classy. Want to become a nail technician? check out this useful resource about nail tech schools and courses near you. We’re obsessed with this combination of colors and polka dots. Perfect if you’re looking for a feminine and playful look. When it comes to French tips, it’s OK to let your creativity shine. Combining different colors and designs can work, without making your manicure look too heavy. Case and point. Nail accessories can be a girl’s best friend sometimes. Here’s a manicure hack: use the tip of a pencil eyeliner or lip pencil to place the accessories on your nail. This will allow you to grip the jewel from above and not mess up the design. 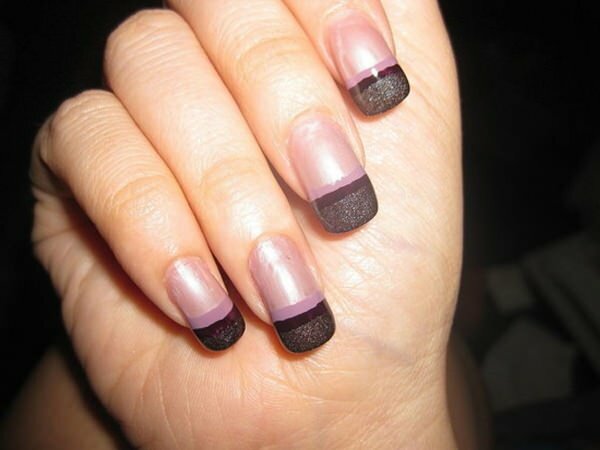 If you’re having trouble growing your nails, you can always use nail extensions. They’re fairly inexpensive (under $10) and they can last up to two weeks. Choosing to highlight a single nail can be a wise decision, since accent nails give the manicure a bit of an edge. 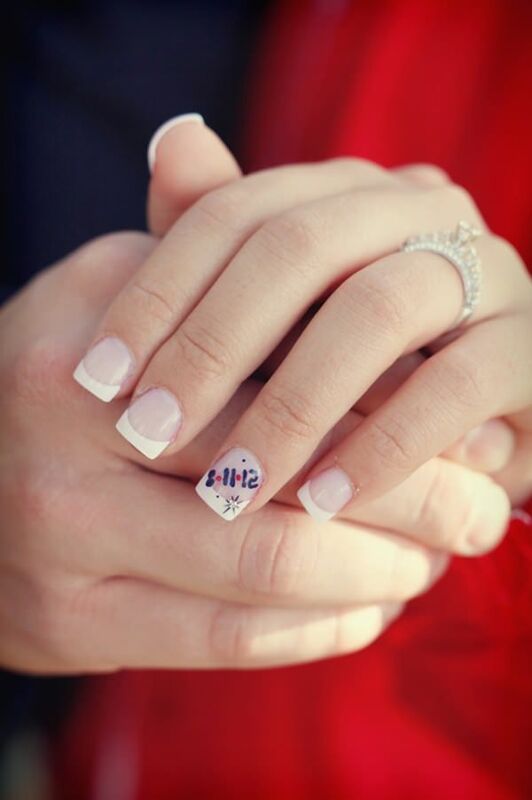 Plus, writing a special date on the nail, one that has some deep meaning for you, seems like a fun idea. Fair warning: people will ask you what the date symbolizes. Don’t do it unless you’re willing to explain. The perfect manicure for a crazy night out. The combination of black and silver will never go out of style. To make your job a bit easier when painting your nails, use French tip tape. 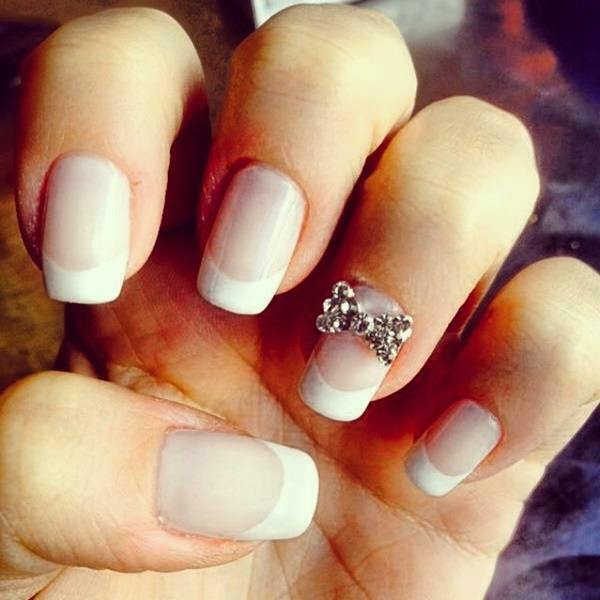 You will end up with a picture perfect French manicure in no time. Alternatively, you can also use scotch tape or band-aids, to go the inexpensive route. 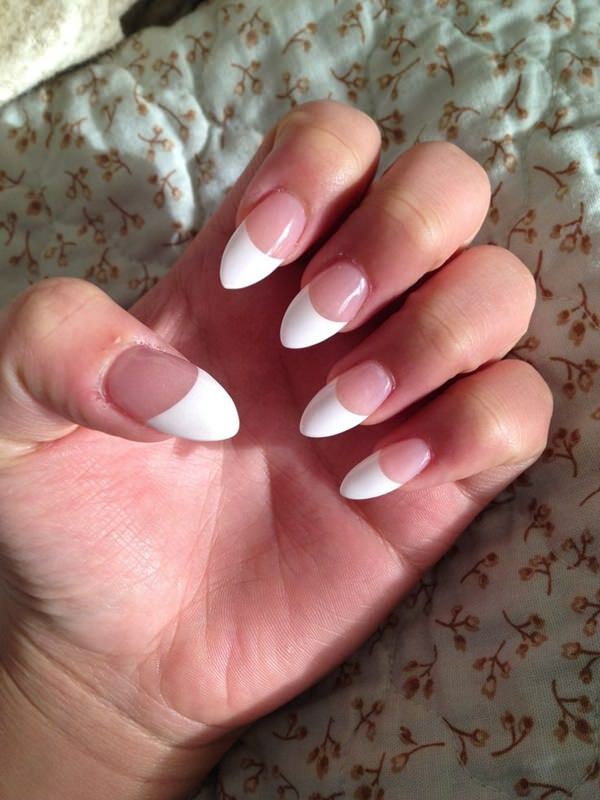 If you’re up for it, here’s a non-traditional French manicure that will surely turn heads. Painting a funky design is a bit trickier, but perfectly doable as long as you have a steady hand. Practice makes perfect! A less challenging design and an awesome color combination. No one said you should only paint the tips if you’re after a polished look. On the same note, colors don’t have to be limited to the tip. This is a more sophisticated, but ultimately fun look – and the silver accents really make the manicure pop. Flowers again, but this time with little rhinestones attached. Precious! 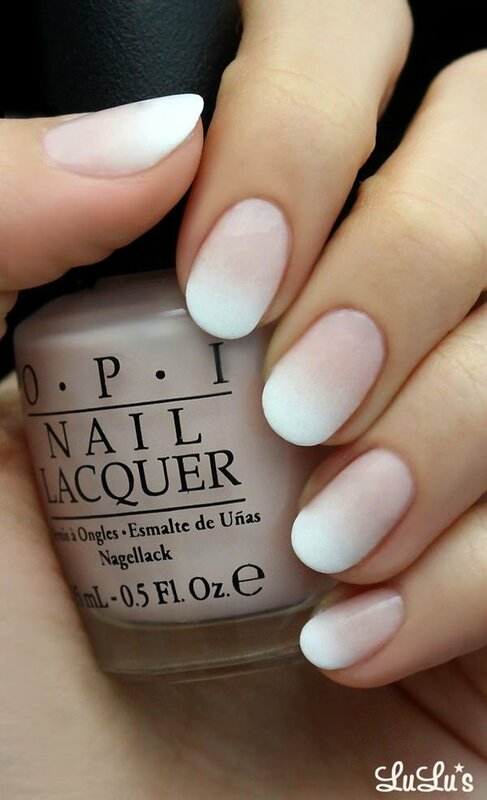 A more subtle nod to the classic French tips, but still lovely. The gold lines are to die for. A delicate design and a touch of glitter can do wonders for your nails. Here’s some solid proof. Painting only one tip in a funkier color? Why not? Accent nails don’t have to be super-crazy to work. A single pop of color is enough to give your manicure a more whimsical feel. 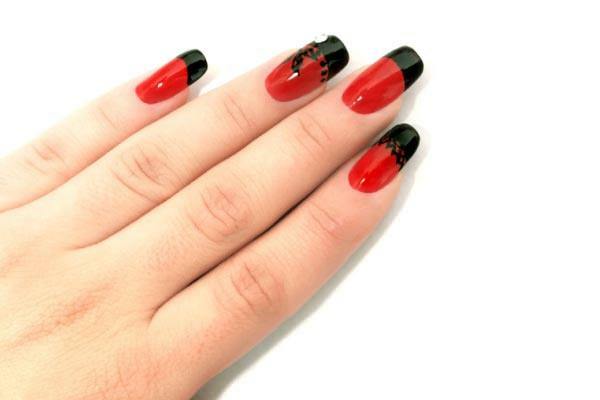 Black, red, and some interesting details that make this manicure stick out. Adding a touch of color to a classic manicure never hurt anyone, right? 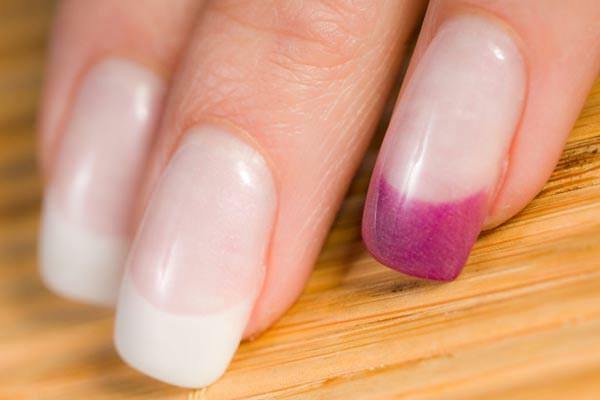 The ombre trend is pretty hot right now, and it looks great on nails. If you’re after a polished look, you can’t go wrong with this. 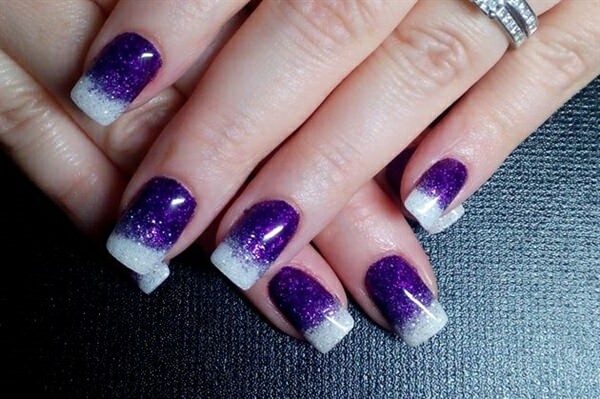 Another great use of the accent nail. Plus, we’re particularly excited about the blue lines. All in all, a feminine and chic manicure. Rhinestones may not be forever, but they can surely highlight an otherwise classic French tip manicure. If you’re a fan of animal print, here’s a look that will certainly look good on you. The silver lines give the manicure a bit of sparkle, so it’s perfect for special occasions. Glitter is all the rage nowadays. 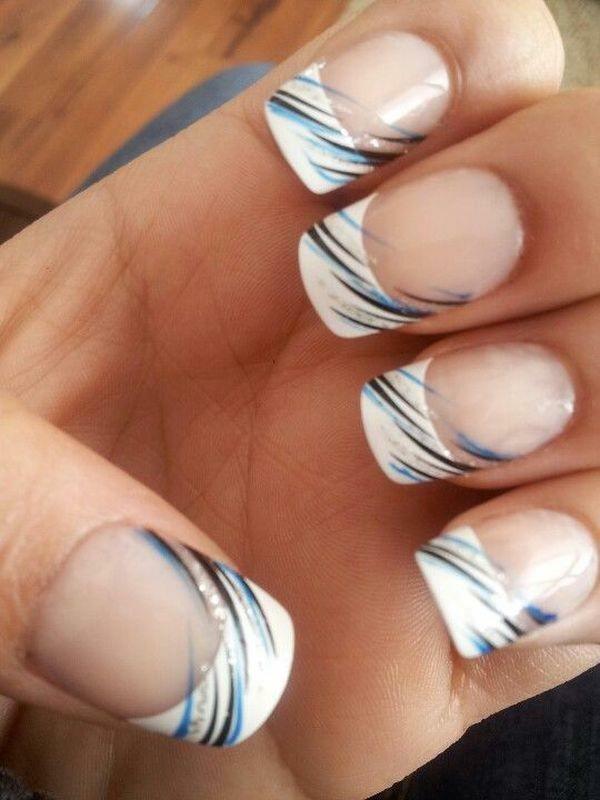 Add it to your French manicure and you will end up with a more spectacular design. 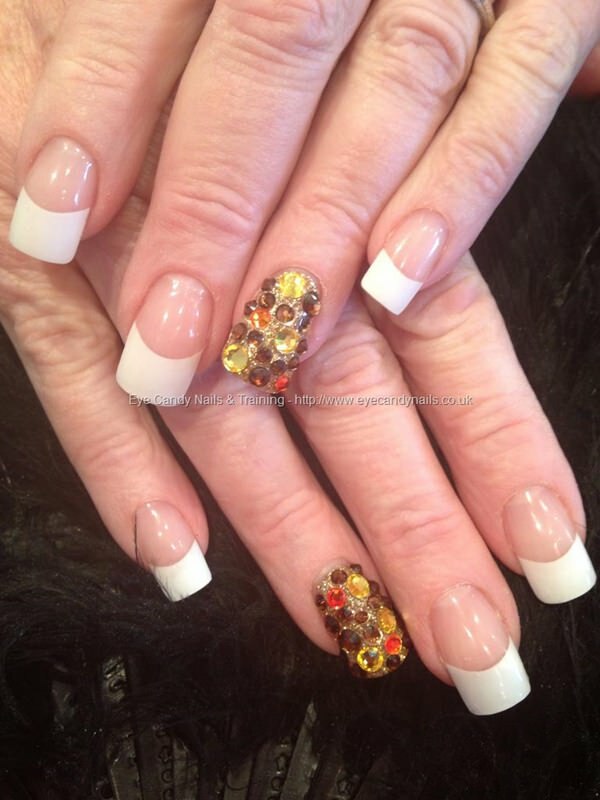 We love how the owner of these gorgeous nails used rhinestones and a compelling shade to create a beautiful and eye-catching manicure. Stiletto nails + French tips = Perfection. Need we say more? Black and silver, we meet again. 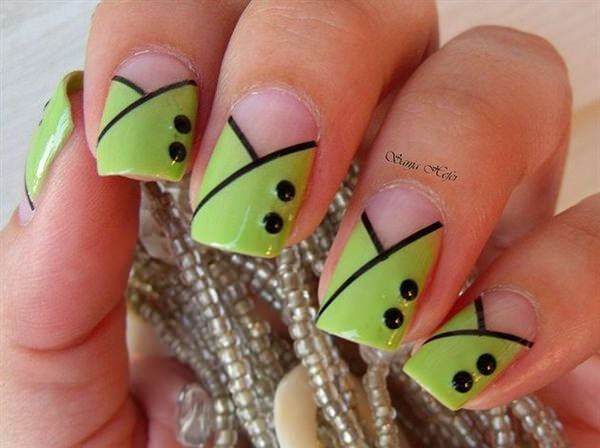 Proof that there are no bounds to creativity when it comes to nail design. 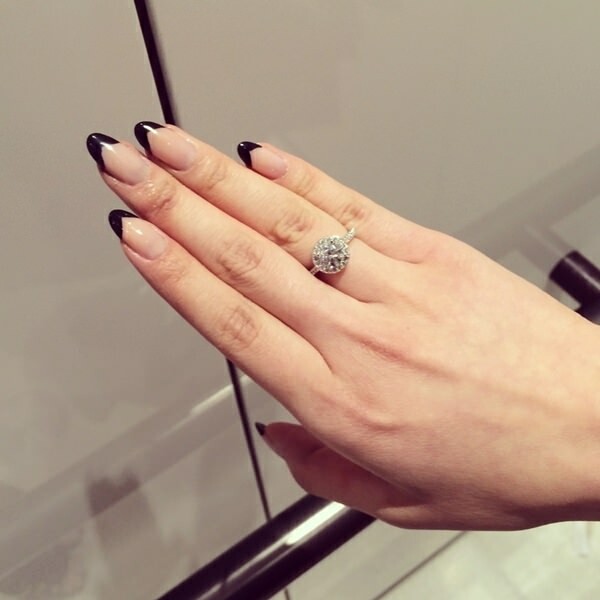 A single nail accessory can make a huge difference. Especially if we’re talking about a bow. They’re charming. Pretty in pink, with a funky pattern for a more unconventional look. Stiletto nails again, this time with black and white tips. 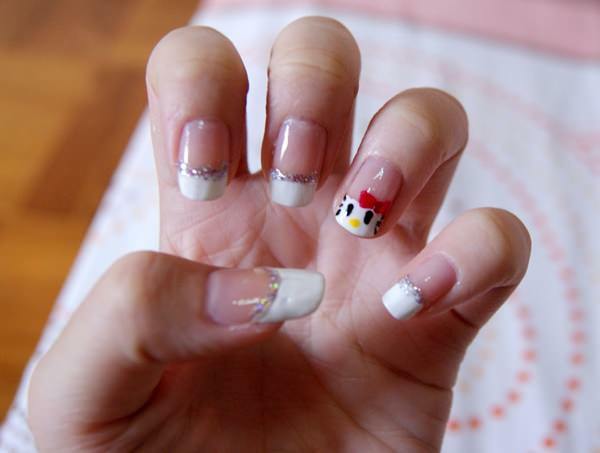 This type of nails really offers a lot of possibilities, since you have more nail surface to work with. Use it wisely. Colors, colors everywhere! We’re not complaining. 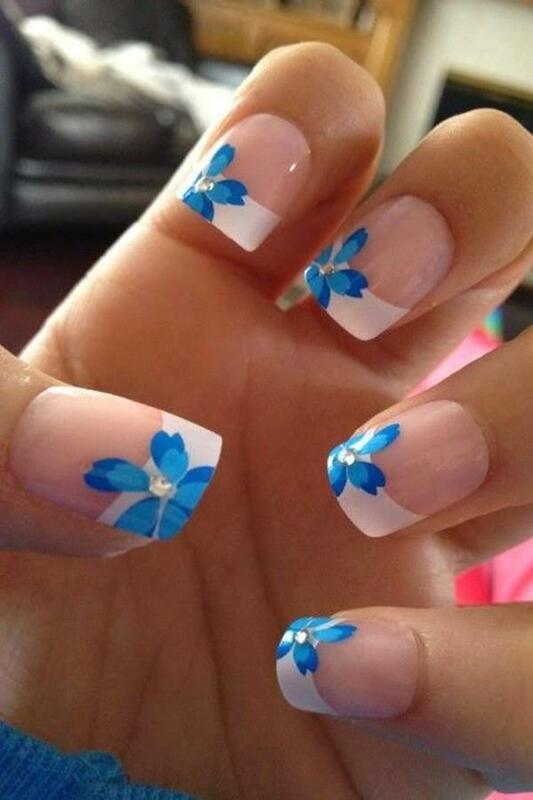 Flowers are a popular choice when it comes to nail art. Here, we’re dealing with a more abstract design, which looks pretty glam in our humble opinion. 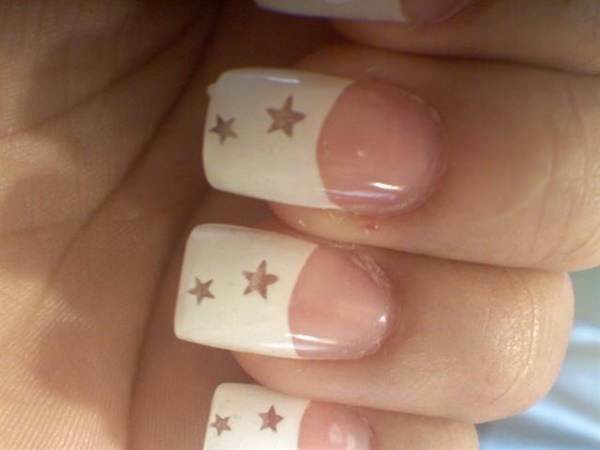 Adding a few stars to your French tips will make for an interesting manicure. Nail stickers can also work. Glittery tips make another special appearance. We wholeheartedly approve. Long nails = long tips. To keep your nails healthy, apply some moisturizer every day. Dry nails tend to crack and become brittle. 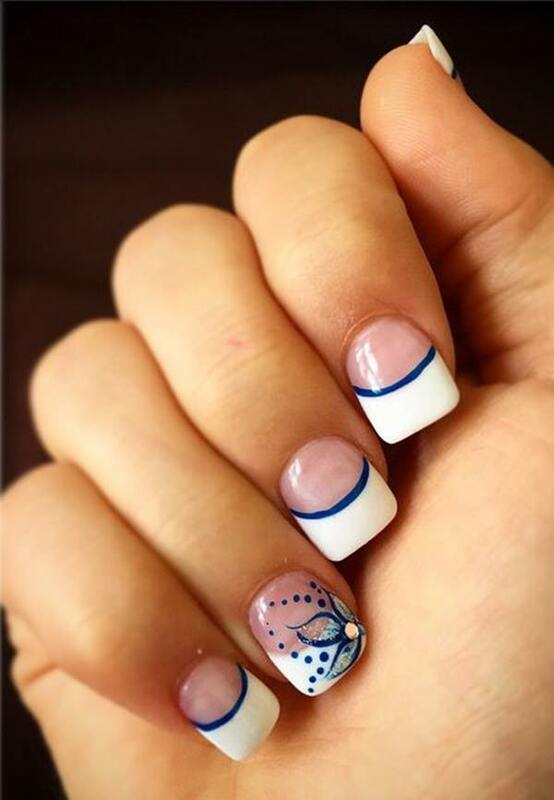 If you feel like getting fancy, try a similar nail design. It’s mesmerizing. Another cute bow. Sheer elegance! Is there such thing as too many nail accessories? We don’t think so. Add some flair to your classic French manicure with a touch of color and a beautiful design. Soft kitty, warm kitty, little ball of fur… If you’re a cat person, this is the perfect way to showcase your love for the furry creatures. Black tips look particularly well on stiletto nails. If you’re jonesing for this look, schedule a visit to the salon. The nail artist will be able to give you plenty of useful tips on how to care for your manicure. This shade of blue is perfection, and it really makes the white polka dots stand out. As you can see, French tips are anything but boring. If the designs above made you want to get a French manicure yourself, we’ve also put together a short tutorial that will help you get amazing results. 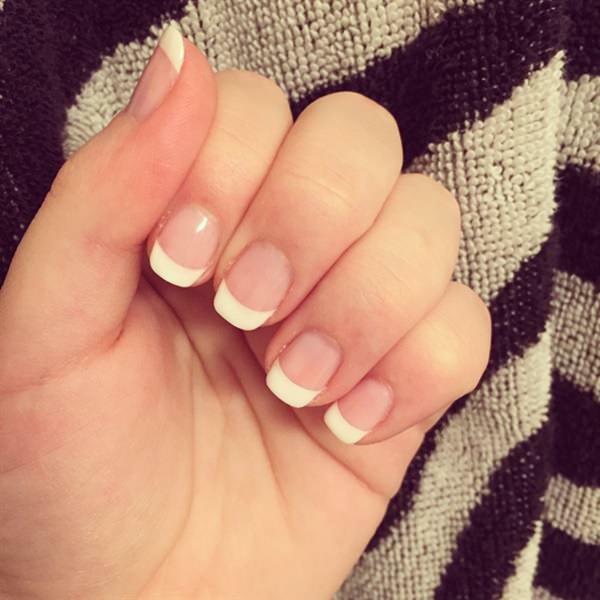 While going to a salon might be the easiest choice, with a bit of practice you can master the French manicure in the comfort of your own home. Here’s how. First off, start with the basics. Remove old nail polish, from all the corners and cracks, even if you were only wearing a top coat. 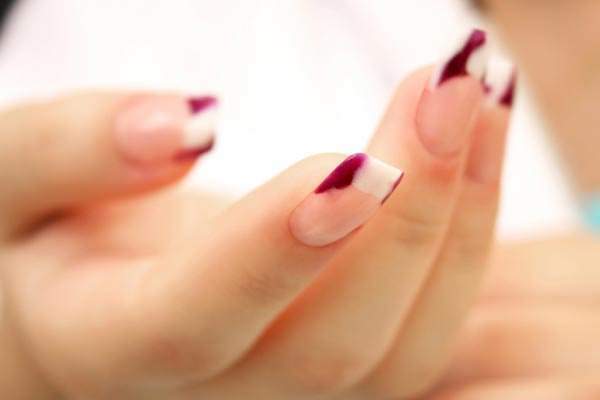 If you go the traditional French manicure way, other colors will be easily visible through the pale French mani polish, so you want to make sure your remove all traces of old polish. As a side note, acetone nail polish remover isn’t your best choice, since it can dry your nails. If you want to keep them healthy, opt for a nail polish remover without this damaging ingredient. Then, trim your nails into your preferred shape. 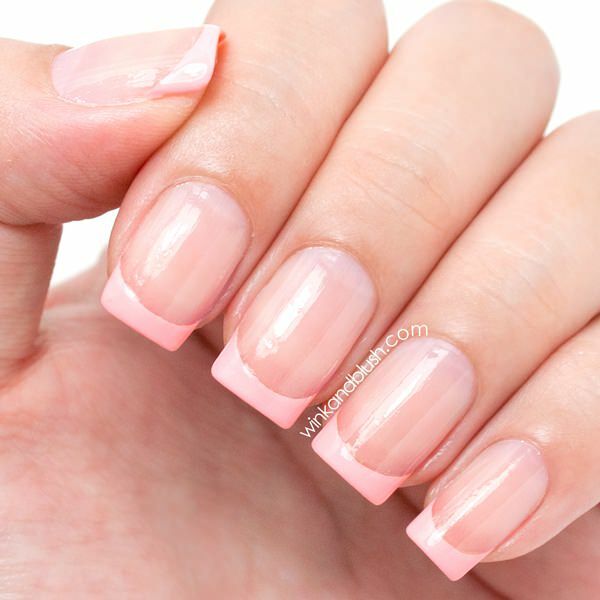 Even though a French manicure looks best on long nails, you can get great results with short nails as well, as you’ve seen above. Next, it’s time to file your nails into your favorite shape – either give them a traditional crescent shape, or opt for a square or round shape. Remember to also use a nail buffer to buff the surface of your nails. Now it’s time to pay some special attention to your cuticles. Start by placing your hands in a warm bowl of water where you added olive oil for a few minutes, to soften the cuticles. Dry your hands with a towel and use a cuticle pusher to push your cuticles back. Alternatively, you can also use an orange stick. If you have cuticle oil, massage them into your nails for some extra TLC. You’re done with the prep portion, so it’s time to get down to business. Apply the base coat, which traditionally is clear, cream, or pale pink. For better results, do it like the pros: paint a stripe down the center of your nail, then to more stripes on the sides. Fill the nail using even strokes and paint from the cuticle to the tip. You can buy a French manicure set that has everything you need to create the perfect mani, or you can use whatever nail polish you have handy. The same goes for the colors – if you don’t want a traditional manicure, feel free to use whatever crazy shade you like. For more striking results though, make sure the base color is in contrast with the tip color. Allow the base to completely dry before applying a second coat. Once you’re done with the base coat, move on to the tips. Your hands should be steady to avoid making a mess. 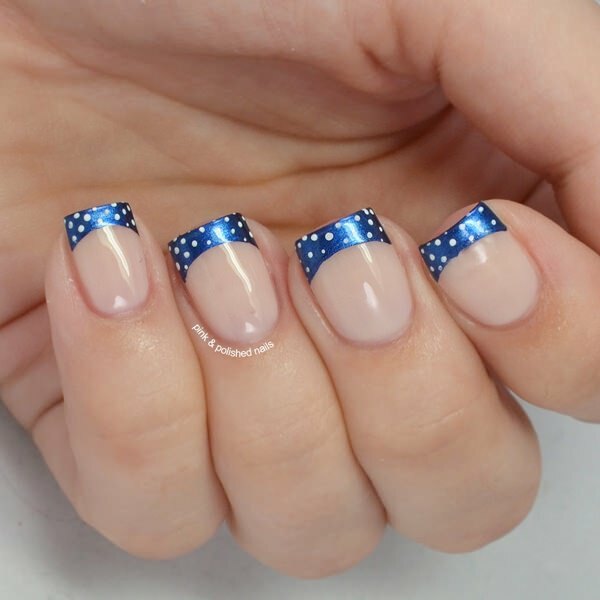 Whether you want to paint white crescents on your nail tips or come up with a more creative design, you can use scotch tape for better results (especially if you’re not a pro at painting a straight line). Once you’ve painted the tips, use a nail polish remover pen for final touch-ups, if needed, or dip a Q-tip in nail polish remover. Finally, apply a clear top coat – your manicure will last longer this way. If you’re not a fan of scotch tape, you can use a rubber band to create the perfect French tips. Tie it in the middle and loop one end over your thumb to create tension on the band. Align the other end over the top of your nail to create the crescent-moon French tip shape. Do you want your nails to dry faster? Soak your nails in a bowl with ice and water after you paint them – the cold water will help the paint set faster. Or, you can spray nonstick cooking spray to your nails. Wait a couple of minutes and then wash the oily residue off. If you’re going for a mani that might get messy, consider lining your nails with petroleum jelly like Vaseline before painting them, for an easy cleanup. You will create a barrier between the polish and your skin which is easier to wipe out. Not a pro at nail art yet, but want to try a more dramatic design? Start small. Go for only one accent nail, usually the one on the ring finger. This will accentuate the rest of your French tips. 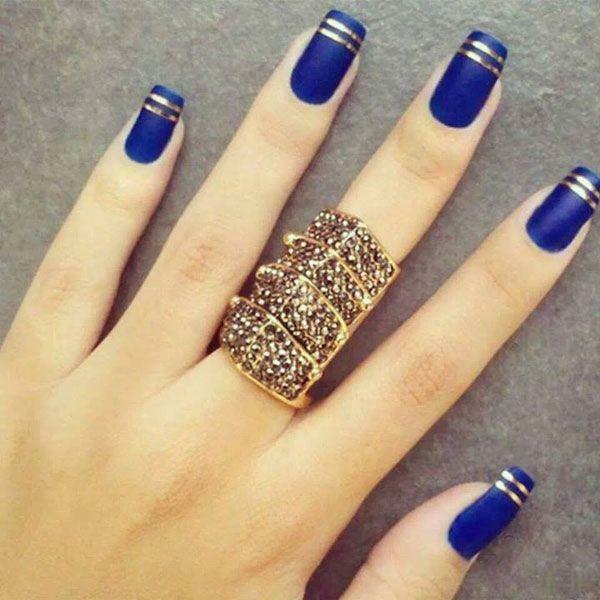 In the end, no matter what type of design you choose, your nails will look great. French manicures have always been fabulous, and we don’t see them falling out of style anytime soon. Plus, we’re talking about a mani that gives you a more feminine and polished look. You can never go wrong with that. Happy painting!